Fiat will invest 150 million euros over three years in Bertone. Fiat S.p.A.s bid for Carrozzeria Bertone S.p.A. was approved by Italian Industry Minister Claudio Scajola Thursday. Fiat will invest 150 million euros ($215.9 million) over three years in the struggling contract manufacturer that has produced models ranging from the Lamborghini Miura to the Volkswagen Polo during its 96 years in business. The other bidders for the coachbuilder included Italian entrepreneurs Gianmario Rossignolo and Domenico Reviglio. Fiat CEO Sergio Marchionne says that the automaker is interested in Bertones Turin plant for niche vehicle production. Fiat declined to say which niche model or models it would make at Bertones Turin factory. The only detail the company gave was that the vehicles would be sold in Europe and North America. 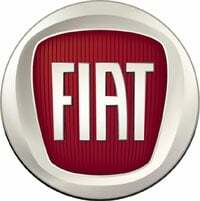 Fiat has a controlling stake in Chrysler Group and plans to relaunch the Fiat brand in the United States in early 2011. The U.S. relaunch of Fiat-owned subsidiary Alfa Romeo is planned for the end of 2011. The Italian press has speculated that starting in the second half of 2011 Fiat could use the Bertone plant make everything from convertibles to large sedans. Rossignolo planned to use the plant to produce up to 10,000 units a year of a luxury sedan and SUV. The Bertone family lost control of the coachbuilding business when bankruptcy administrators took control in February 2008. The Bertone design business, which remains in the hands of the Bertone family, was not affected by the collapse of the contract manufacturing unit. This was Fiat's second attempt this decade to take control of Bertone's coachbuilding business. In 2006, Fiat started negotiations to buy a controlling stake in the company. It planned to make a coupe cabriolet for the Lancia brand at the plant. Bertone, founded in November 1912, is Italy's oldest contract manufacturer. The company stopped volume production in December 2005.